Environment Secretary Michael Gove appeared on BBC2’s Gardeners’ World on Friday (21 September) as part of a piece on plastic plant pots and how easy they are to recycle. 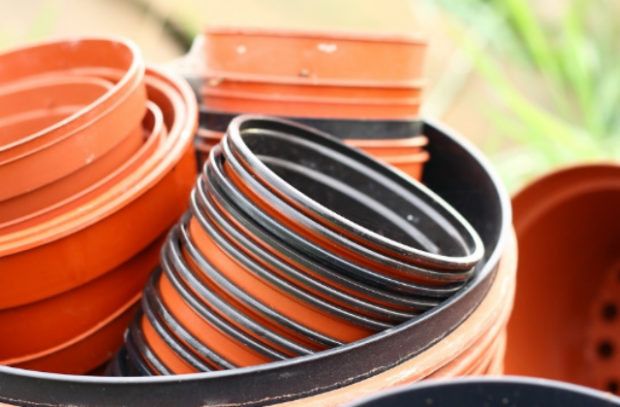 Presenter Arit Anderson spoke to plant nursery owners to understand why plastic pots have become the standard – they’re economical, durable and produce healthy plants. Garden centre owners agree, and say they’re ‘governed by the growers’. Arit also highlights only a ‘handful’ of local authorities currently recycle black plastic plant pots. But later in the programme, Arit learns most pots are already made from recycled material. A pot manufacturer says the industry is aware of the problem and taking steps to change the types of plastic used in pots to make them more widely recyclable. We want to make sure the environmental costs of using these plastics are borne by the people who produce this material in the first place. Not only is that a way of actually generating more cash, which we can put back into recycling, it also means it is a spur to innovation so that companies have to look at producing alternatives and find that they are more competitive. There is a wide array of different rules and regulations on recycling depending on where you are in the country. One of the things that we hope to do with our Resources and Waste Strategy, which we are publishing in the autumn, is to bring a degree of coherence so that, across the country, wherever you are, you will know how to recycle and make it easier and clearer for everyone to do the right thing. The Independent, Business Green, Energy Live News and WWT have covered the announcement from the National Drought Group about the risk of drought following the 2018 heatwave. The current environmental situation is still fragile, and higher-than-average rainfall throughout autumn and winter will be necessary to avert spring water shortages. This was the message following the National Drought Group (NDG), which is made up of various water and environment organisations. The NDG met on 20 September to assess the latest situation and agree actions needed to reduce the risk of water restrictions and protect the environment next year. Despite the recent rainfall, which has provided respite to rivers, wildlife and people’s lawns around the country, the water resources situation has not yet returned to normal. At the end of August, overall reservoir stocks were at 65 per cent. The Environment Agency responded to more than 300 dry-weather related incidents over the past few months, more than three times the usual number for the summer. Sir James Bevan, chief executive of the Environment Agency, chaired the NDG meeting and said that early action and planning would be necessary to avert this situation. Ensuring sufficient water for the public, the economy and the environment is one of biggest challenges we face as a country. The Environment Agency will continue to work actively with the water companies and other water users to seek to ensure that. But this is not just a matter for the organisations at National Drought Group. We all use water, and everyone has a role to play in ensuring we continue to have reliable access to it, so we encourage everyone to please use water wisely.